So often it’s all about single-origin bars, and I do enjoy them immensely, but I think bars of mixed beans are also worth trying. 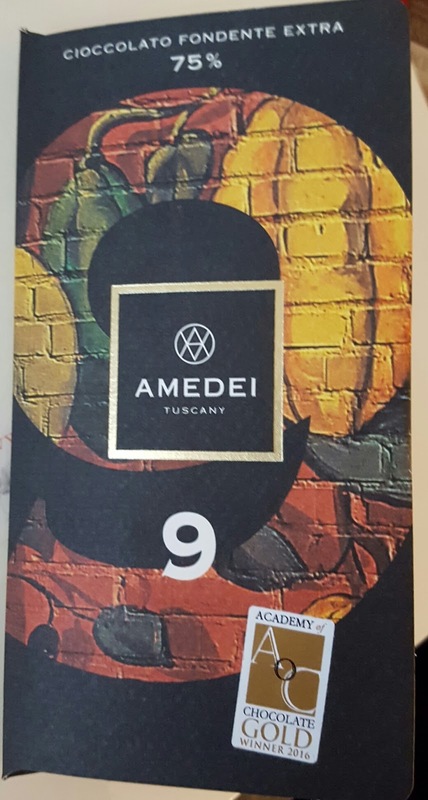 This Amedei 9 Bar is a combination of cacao from 9 different plantations, and is so well balanced. Nose: Dark chocolate pudding, cocoa powder, vanilla. Taste: Mild acidity, red fruit, vanilla, dark chocolate brownie batter. This is definitely the bar I’d recommended when needing a major chocolate fix. It’s like the ultimate brownie in chocolate bar form. What’s your favorite bar by Amedei? Note: This review appeared first on my original Blogspot site on 12-16-16.